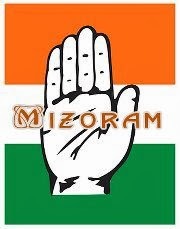 12:59 pm Congress inching towards magic figure in Mizoram. 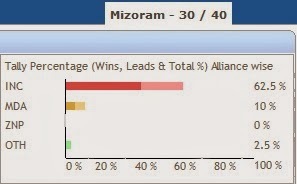 12:39 pm Mizoram CM wins from both seats he contested. Mizoram Chief Minister Lal Thanhawla today won from Serchhip and Hrangturzo, the two seats he contested in the Assembly elections..
12:03 am Congress candidate H. Rohluna wins from Lengteng constituency. 11:58 am Congress wins all first nine results and leads in 17 other constituencies. 11:43 am Aizawl East - II Lalsawta (congress) won against Sailothanga of MNF. 11:43 am Mizo National Front candidate Lalrinawma leading in Tuikum. 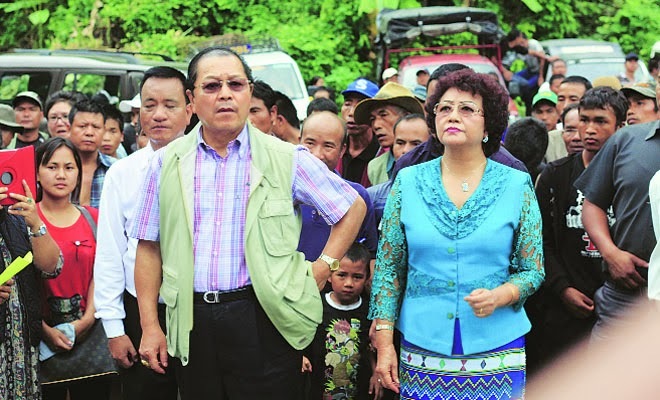 11:31 am Dr. K Beichhua MDA (MNF) defeats sitting MLA and former Mizoram Industry Minister S. Hiato by around 200 vote. 11:27 am R L Pianmawia (Cong) wins in Tuivawl. 11:23 am Lungleì south : INC heavyweight S. Laldingliana Elected. 11:20 am CM Lal Thanhawla of Congress defeats MDA's C. Lalramzuava in Serchhip reserved constituency. 10:31 am MNF+ Leading in 3 seats, Congress leading in 14 seats. 9:31 am MNF+ Leading in 2 seats, Congress leading in 6 seats. 9:22 am R Lalzirliana (Cong) leads in Tawi. 9:20 am MNF Leading in 1 seat, MDF leading 1 seat Congress leading in 4 seats. 9:19 am MNF+ Leading in 2 seats, Congress leading in 4 seats. 9:18 am MNF+ Leads in 2 seats, Congress in 2 seats. 9:17 am Doordarshan seems to be the only one interested in Mizoram election results today. 9:15 am MNF+ Leads in 2 seats, Congress in 1 seat. 08:50 am And it's Madam Gandhi birthday today. Will Mizoram come as a gift to her or another debacle? 08:40 am "The counting of ballots would be done across eight districts from 8 a.m. Monday. Postal ballots would be counted first, followed by the votes recorded in EVMs (electronic voting machines)," an official of the state election department told reporters. 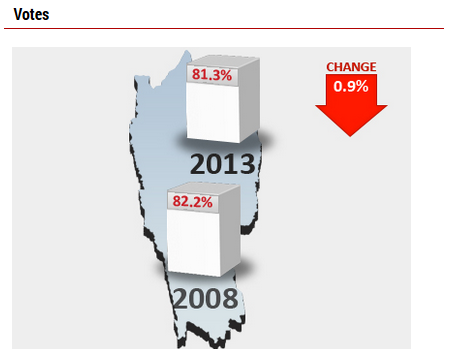 During the last assembly elections held December 2008, the Congress won 32 seats, the MNF three and the MDF one. The MPC and ZNP got two seats each. Counting of votes cast in elections to the Mizoram assembly began at 8 am, officials said. Of the 40 assembly seats, 39 are reserved for tribals and one is for general category. BJP has little base in the state, Zoram Nationalist Party (ZNP) and the Nationalist Congress Party also contested, fielding candidates on many seats. 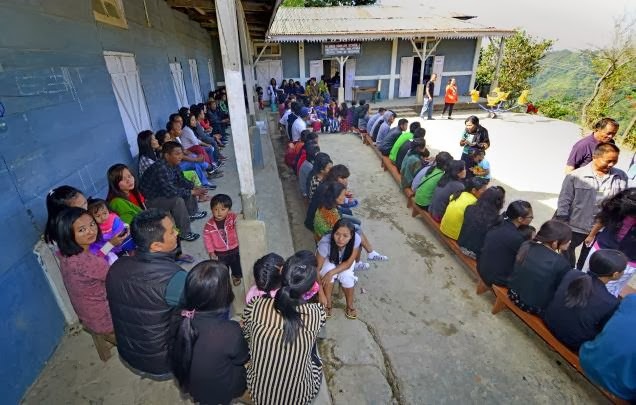 The main poll battle in the mountainous state is between the ruling Congress and opposition coalition Mizoram Democratic Alliance, comprising the MNF, Mizoram People's Conference (MPC) and Maraland Democratic Front (MDF), all regional and local parties. Chief Minister Lal Thanhawla, also the state Congress chief, is contesting from two constituencies - Serchhip, his home turf, and neighbouring Hrangturzo - while opposition Mizo National Front (MNF) chief Zoramthanga is trying his electoral fortunes from Tuipui East, bordering Myanmar. "The counting of ballots would be done across eight districts from 8 a.m. Monday. Postal ballots would be counted first, followed by the votes recorded in EVMs (electronic voting machines)," an official of the state election department told reporters. Over 81% of the total of 690,860 voters exercised their franchise across the state to elect a new 40-member assembly and government. he fate of the Congress government in Mizoram will be known when votes polled for the assembly elections held November 25 are counted today.